After an early morning flight, we were on the Thomson coach as it made its way past the volcanic areas down to La Palma Princess Hotel in Fuencaliente. Peering eagerly out the window through somewhat sleepy eyes, the first thing that struck me about the hotel was its sheer size, impressive ocean-front location and the number of swimming pools. The second thing that struck me (despite research before arrival) was the remoteness and seclusion (but don’t let this put you off!). Check-in at reception was straightforward however trying to follow the directions to find our room proved to be very difficult and stressful within the hotel complex. We wandered around aimlessly with map in hand dragging our bulky luggage behind us up and down steps and hills, passing the same fellow tourists looking for theirs rooms again and again! Our recommendation – appoint one party member with map-reading skills to locate the room whilst the rest of the party stays by reception (or the bar!) with the luggage. Once we’d located our room we loved it. It was spacious, decorated to a high standard and with plenty of storage space which is always a bonus. The bathroom was fantastic with a bath, large sink area, toilet and very large spacious shower cubicle with a powerful shower. There was also a good hairdryer in the bathroom. Whilst checking in, we were offered the option of a sea view for an additional charge but after a walkabout, we decided it was quite windy facing the ocean and the balconies were more open with less privacy. Our room on the 2nd of 3 floors had a clear view of the mountains, a courtyard garden below and a sideways view of the sea and we liked the location and peacefulness. The pool areas were great, well-equipped and very spacious. We visited in February so had no trouble getting a sun lounger but there are so many in the complex there should always be enough to go around. The heated pool was a little chilly on arrival but seemed to warm up during our stay once the sun appeared! Some pools were shallow for paddling which offered a great area for the non-swimmer. We decided not to hire a car during our stay as we prefer to be ‘out in the open’ and the roads looked a little scary to say the least! The hotel offered a good rate for car hire and it all seemed easy enough to arrange if you wanted one though. 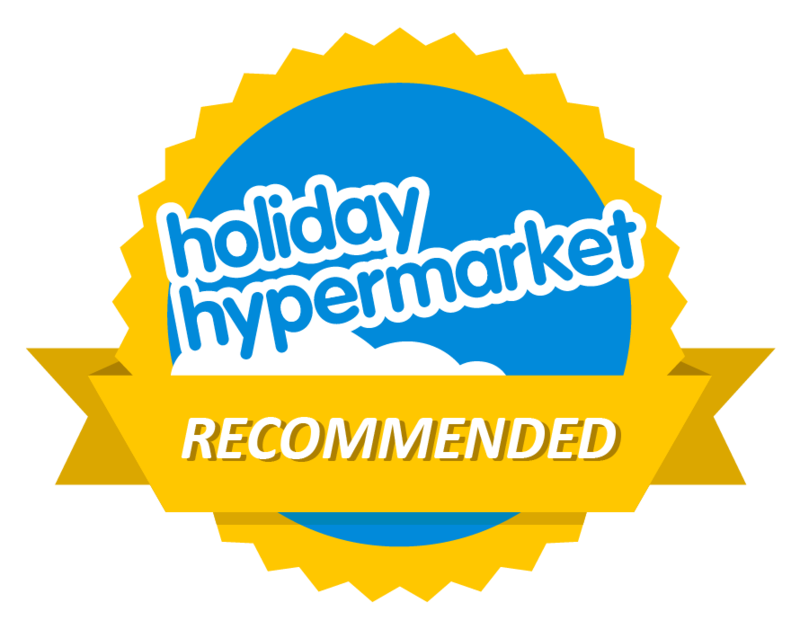 We found that our legs, the use of the good local bus service from reception and a few organised coach trips proved to be all we needed for our 2 week stay but it did take us a little while to discover all the options (hence the need for a website like this!). We were on half board and the breakfast and dinners were very good all in all. I enjoyed the extensive dinner buffet each day offering a good selection of salads, soup, pasta, fish, meat and plenty of deserts if you had room afterwards. An example of the options throughout our 2 week stay included sea bass, rump steak, salmon, green lipped mussels, pork, turkey and lots of salad, pasta and vegetables. Breakfast was good too with plenty of options. The only downside is that after two weeks of any kind of buffet you do tend to crave some good old fashioned home-cooking but the food itself was great and should appeal to all. I would have liked something with a bit more spice to it on the odd occasion but understand that they need to cater for all. For breakfast and dinner you could eat inside or out. The outdoor balconies were a favourite of ours and we enjoyed many a breakfast and dinner there. In the mornings you get the benefit of the sunshine and in the evenings, you can dine by candlelight and relax and enjoy. We did eat indoors once but found it to be a bit noisy, bright and busy but there are some lovely tables inside that look down into reception in a balcony type design which were nice too. Late breakfast at La Choza was a lovely experience and you can sit overlooking the ocean and enjoy your meal. The selection is a little more limited than the main restaurant but it makes a nice change and the chef will cook your eggs, omelettes or bacon to order which was nice. The themed restaurant was an amusing experience. We booked at reception and requested an outside table but when we arrived that evening, we were told it was too cold to sit outside (we didn’t think so) so we were seated at the only available table which had been shoved in near to the door and next to the curtain that separated the main restaurant from the themed one which was flapping around all night. We ordered a bottle of wine which arrived corked and then the replacement bottle also arrived corked. My partner ordered a beer whilst we waited and got the beer but no glass so we asked for a beer glass and got a ‘big’ wine glass. Finally a different non-corked bottle of wine arrived. Our soup came first and when my partner poured pepper on, the top fell off the pot and deposited the whole container of pepper into his soup bowl. We sat there trying not to laugh and the waitress then showed up and took it away to get a new one. In the meantime, the poor lady at the next table who had been enjoying her meal suffered a bout of sneezing brought on by the pepper which lasted about 15 minutes and she couldn’t eat the rest of her dinner. The rest of the meal continued without any further upsets but it was a bit of a disappointment and the food served was basically the same as in the main restaurant (which we were almost in anyway!). We didn’t go back for our second visit and preferred the main restaurant but it did seem quite popular with others. Give it a try, it’s worth the experience and hopefully your meal will go smoother than ours! The hotel offered ‘entertainment’ every night in a spacious room with a bar and outside acts appeared around 3 times per week which were varied, professional and good. They included a Chinese acrobatic team, traditional Canarian folklore singers and dancers, a Bee Gees tribute plus a few other acts (which were all better than they sound!) Unfortunately the in-house entertainment team were terrible and we had to experience some dreadful performances during our stay. I can only assume bar sales are good on those evenings, it’s the only way you could sit through the entire show and I really hope this is improved upon some time in the future. We were looking forward to the ‘piano bars’ but discovered these are just bars with pianos in them and no-one actually plays them! However, there were a professional group of three Spanish entertainers playing every night who offered a welcome break from the main entertainment together with the chance to get up and dance if you wanted to. I liked the La Palma Princess Hotel and it offered everything that we needed for a two week stay. I won’t deny that the remoteness seemed to be a big problem initially but once we’d looked into the bus service, booked a few coach tours and found our feet, we had a great time so come prepared and get some info as soon as you arrive and you’ll have a great time too. After seeing the hotels around Los Cancajos on the east coast, I much preferred the quieter side of the island but obviously this would not appeal to everyone. Rooms were excellent, food was enjoyable, the pools were great, and the hotel was of a good standard, modern and well-kept. Plus there was a great little on-site shop selling all you needed. Everything has a down side and for me it was the in-house entertainment which still gives me nightmares even now! We did have some rain at the start and as everyone would, felt a bit despondant and didn’t really know what to do. After feeling as if we had un-necessarily wasted a few valuable days, we got on with it, walked in the rain and still had a great time so we hope our website covers all eventualities during your stay!